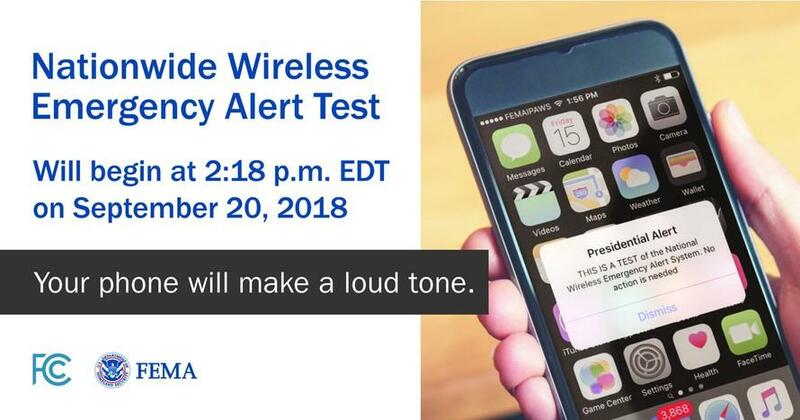 Cell phones will receive a text message that states "Presidential Alert" and "THIS IS A TEST of the National Wireless Emergency Alert System. No action is needed." "THIS IS A TEST of the National Emergency Alert System. This system was developed by broadcast and cable operators in voluntary cooperation with the Federal Emergency Management Agency, the Federal Communications Commission, and local authorities to keep you informed in the event of an emergency. If this had been an actual emergency, an official message would have followed the tone alert you heard at the start of this message. A similar Wireless Emergency Alert test message has been sent to all cell phones nationwide. Some cell phones will receive the message; others will not. No action is required." Despite Trump’s obsession with Twitter as a direct means of communicating, experts told NBC News last week that President Trump will not abuse the “Presidential Alert" system. UCLA communications professor Tim Groeling agreed, told NBC via email, "broadcast-based emergency alert systems ... have remained professional and impartial over decades." How did Twitter respond to Trump's new communication channels? So when the tens of millions of Americans get the "Presidential Alert" on September 20, do not freak out -- it is just President Trump debuting the new emergency communication systems that broadcast personalized emergency messages on a much larger plane than Twitter.